Dr. Lonsbrough has been practicing as a prosthodontic specialist for over 26 years providing implant, esthetic, and reconstructive treatments. As one of the early pioneers to embrace implant dentistry, Dr. Lonsbrough provides both surgical and prosthetic phases of implant therapy to his patients. His wealth of knowledge and experience in dentistry and degree in chemical engineering, have made him one of the most sought after educators, leaders, and consultants in the implant industry. Our goal in this practice is to have a caring, patient-centered prosthodontic practice that serves the community in an efficient, friendly, and enjoyable manner. Dr. Randall L. Lonsbrough attended The Ohio State University from 1979-1984 where he graduated with a Bachelor of Science degree in Chemical and Biomolecular Engineering, with additional studies in Petroleum and Biomedical Engineering. He received his D.D.S. from The Ohio State University in 1989. He received his specialty certificate in Prosthodontics from The Ohio State University in 1992. In 1994, he earned his sub-specialty degree in Maxillofacial Prosthetics from Roswell Park Cancer Institute in Buffalo, N.Y.
His publications vary from dental material research to prosthodontic and maxillofacial prosthetic clinical techniques. 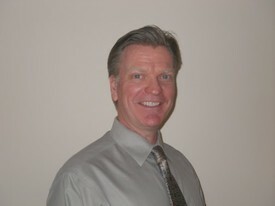 From component connections, to fixture coatings, to even packaging, Dr. Lonsbrough's unique chemical engineering background and dental specialty and sub-specialty training make him a highly sought out consultant during the design phase by implant companies. He has been involved with the early development of a wireless artificial larynx and a craniofacial implant system. This system provides retention for facial prostheses, bone conduction hearing devices and even hair replacement. After private practice in Beverly Hills, Dr. Lonsbrough has practiced in San Luis Obispo, California for the past 22 years. He has been a professional musician since the age of 14. He enjoys running on the beach, and hiking. He is also the proud father of three teenagers.